Juneau Limousine Services, LLC is Juneau’s premier airport transportation service. With over thirty years of experience, we provide fast, reliable, and friendly transportation services to and from Juneau International Airport. 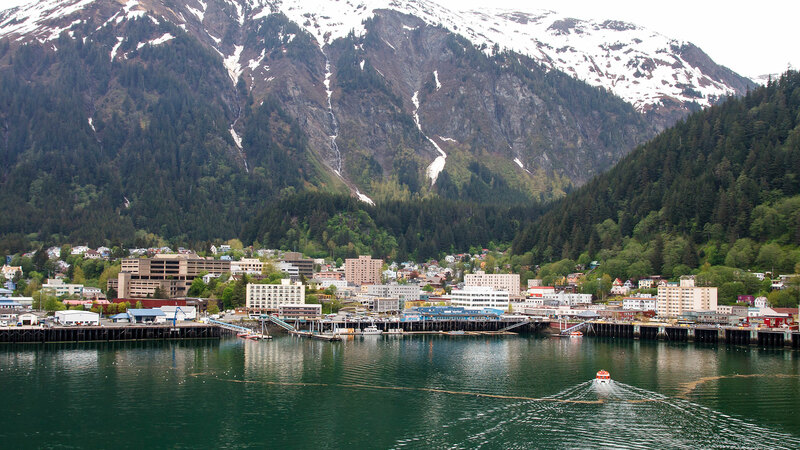 Whether you’re in a rush, need help transporting cargo, or are visiting Juneau and want a tour of the town, we’re here to meet your needs and exceed your expectations. We operate a fleet of clean and dependable vehicles staffed by friendly drivers. All our vehicles are fully licensed by CBJ and FMSA. Call us at (907) 463-5466 today to schedule a ride. We are proud to be Juneau’s most reliable and professional transportation service. Thanks to our many years in the industry, we’ve developed a lean operational model that allows us to maximize our efficiency and minimize your wait time. You won’t have to worry about missing your flight with us. We ensure that we arrive on time, every time. Our drivers are hand-picked to be punctual and professional chauffeurs. It’s just what separates us from the competition. Our professionalism also means that we won’t charge you an arm and a leg for our services. We keep our prices as low as possible so that we can stay competitive and make our excellent services affordable for all in need of airport transportation. If you’re new to the city, we’re here to be your first point of contact when you arrive. In addition to taxi services, we can give you a lay of the land with one of our custom city tours. Our drivers are all locals who know this city better than anyone else. Whether you’re here for business or pleasure, they’ll be sure to give you a full run-down of the latest hot spots and major destinations in and around Juneau. They’ll be able to provide an enlightening and entertaining tour of our city based on what you want to see. And when it’s time to say goodbye, they’ll be there to give you one last drive and provide you with reliable and friendly transportation to Juneau International Airport. 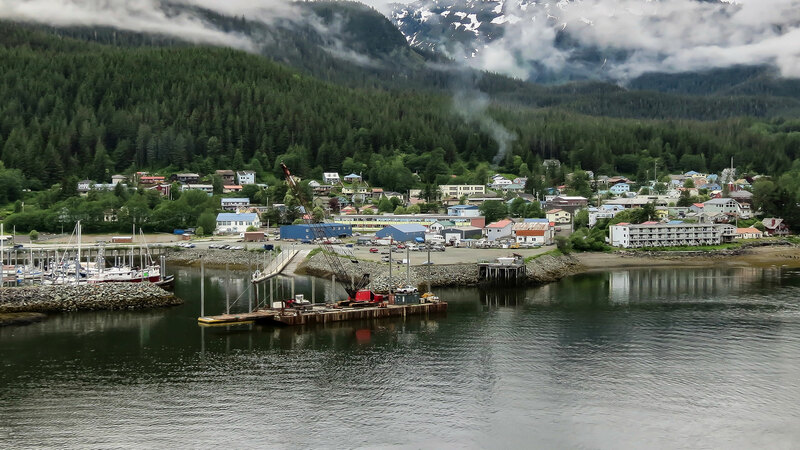 Experience Juneau like a local. If your coming in from the airport, contact us today. We are dedicated to providing the very best customer service to every one of our clients. We maintain a small team of experts to ensure that every member is dedicated to our customers’ needs. When you call us, you know that you will be speaking to a friendly representative, receiving a clear arrival time for your vehicle, and experience a top-notch ride to your destination. At Juneau Limousine Services, LLC, we know we provide excellent airport transportation services. Our drives are fast, reliable, and affordable. We are renowned for our exceptional customer service and our high level of professionalism. We know you’ll love our services as much as our many happy customers. But if you’re somehow not satisfied, we’ll be there every step of the way to fix whatever the issue may be. Contact us today to schedule a ride. If you have ever taken a flight, then you know that it can be a pretty stressful experience. This is particularly true if you are embarking on a long-distance trip or an international voyage overseas. Regardless of whether you are a seasoned traveler or someone who does it far less regularly, the fact of the matter is that one of the biggest stresses posed by flying is getting to the airport on time. Given the scarcity and high cost of parking, this is often an issue that many Juneau residents only think about on the day of their flight. However, if you want to ensure a stress-free start to your flight then you need to call Juneau Limousine Services, LLC today and allow us to do what we do best. With a wealth of experience in all aspects of the taxi and limousine service, you can rest assured that you will arrive at your boarding gate safely and in plenty of time when you contact us to get you there. Similarly, if you want to make sure that the last leg of your journey is as pain-free as possible, then why not call us and in advance of your departure and allow us to take care of everything. We promise, you won’t be disappointed. Customer Service: At Juneau Limousine Services, LLC, our entire team is dedicated to offering all our clients in Juneau the highest standard of customer care. For us, the client-centered approach we take to customer service is second to none and something that can facilitate your individual or commercial needs perfectly. With a countless number of loyal and satisfied customers returning to our service week after week and month after month, it is no exaggeration to suggest that our airport shuttle will not be beat. High-Quality Vehicles: Another unique selling point of our airport transfer service is that we can get you to and from your flight in either a traditional limo, an SUV, a classic sedan or a van. Our commercial loyalty rates are competitively priced and designed to meet your needs perfectly. Licensed Chauffeurs: Each and every member of our team of chauffeurs and drivers are fully licensed and screened to make sure that they meet the high standards that we set for our airport transport service. By employing an experienced team of qualified professionals who know the Juneau area inside out, we can guarantee you will receive a service like no other. Juneau is a lovely place to visit. Whether it’s for pleasure, for family, or for business, there’s something for everyone in Juneau. So when you get off the plane at Juneau International Airport, what’s the first thing you want to do? Do you want to stand in line at the taxi stand? Do you want to stand in line at the rental office? Do you want to wait around for public transit? No, probably not. No one wants to wait around to leave the airport. Let us wait on you! With Juneau Limousine Services, LLC, we’ll be waiting to pick you up and take you to your final destination. If that’s not convincing enough, we’ve put together a list of 5 great reasons to book an airport transfer in Juneau. 1. Enjoy the jaw-dropping views and vistas. 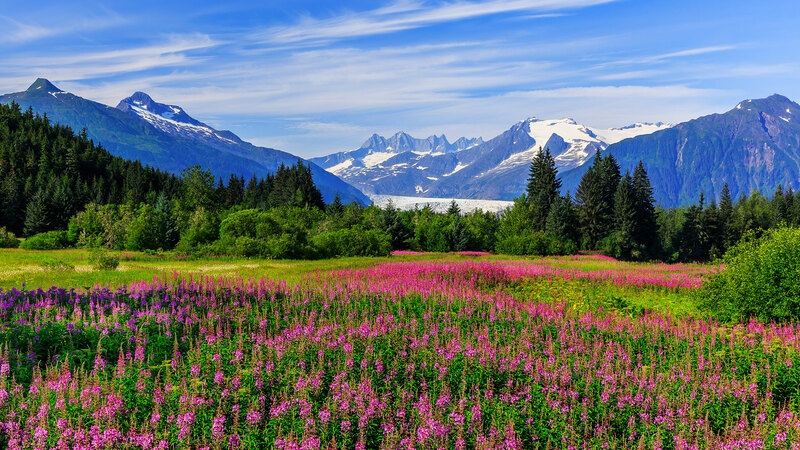 It’s no secret that Juneau boasts some of the most beautiful landscapes in the USA. And although that’s kind of par for the course in Alaska, we love our little piece of paradise in Juneau. From snow-capped peaks to soaring pines draped in fog, you’re sure to fall in love with the place before you arrive at your destination. Enjoy the view from the comfort of one of our town cars or limousines and make the most of your stop in Juneau. 2. We're on time, every time. Are you landing in Juneau on a tight schedule? By booking an airport transfer from Juneau Limousine Services, LLC, you can leave all your stress on the plane. The moment you disembark, you’ll be in our care. And we guarantee to get you where you need to be when you need to be there. 3. Don't worry about having cash on hand when you land. By booking your airport transfer in advance, you can also pay for it in advance. That’s one less thing you need to think about when you get off the plane. No need to fumble for the right cash or stop at an ATM along the way. We’ll arrange your payment first so that you just need to worry about getting to where you need to go. 4. Are you traveling with oversized luggage? It can be a pretty harsh surprise to arrive at an airport and find out that the taxis don’t have space for all your luggage. By booking your transportation in advance, we guarantee that the vehicle that picks you up with have space for you and all your belongings. That includes your outdoor equipment for enjoying the many activities that Juneau has to offer! 5. Enjoy the luxury of a private car. How often do you have somebody there to wait on you? Enjoy the luxury of having someone take care of everything for you. Directions, baggage, refreshments—it’s all covered with Juneau Limousine Services, LLC. 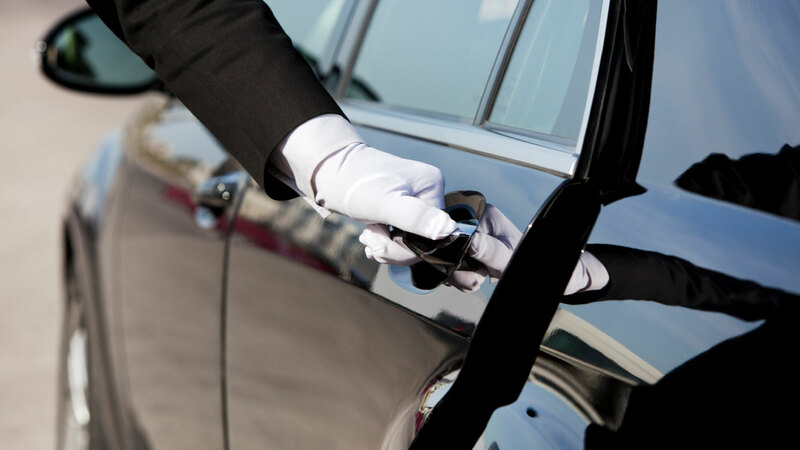 Let us treat you to the luxuries of private transportation. Contact us today to book your airport transportation in Juneau.